KC Crop Insurance Services, Inc. and Triangle Insurance & Associates hosted a great and informative joint Ribbon Cutting with the Kinston-Lenoir County Chamber of Commerce. There were a number of chamber members, chamber ambassadors, and local business leaders in attendance to help celebrate. Chamber Director Laura Lee Sylvester was on hand to assist cutting the ribbon. KC Crop Insurance Services, Inc., an independent insurance agency, is committed to the principles of service, integrity and professionalism.Â They treat their customers as individuals and offer them the highest quality of service with the goal of exceeding their expectations.Â They have over 35 years of combined experience and they specialize in crop insurance only.Â They are located at 1695 Hwy 258 N, Kinston and our hours of operation are Monday-Thursday 9-5 and Friday 9-3.Â Contact Lisa Harris at 252-286-5116 or Tammy Davis at 252-560-3673.Â For all your crop insurance needs, put your trust in them! 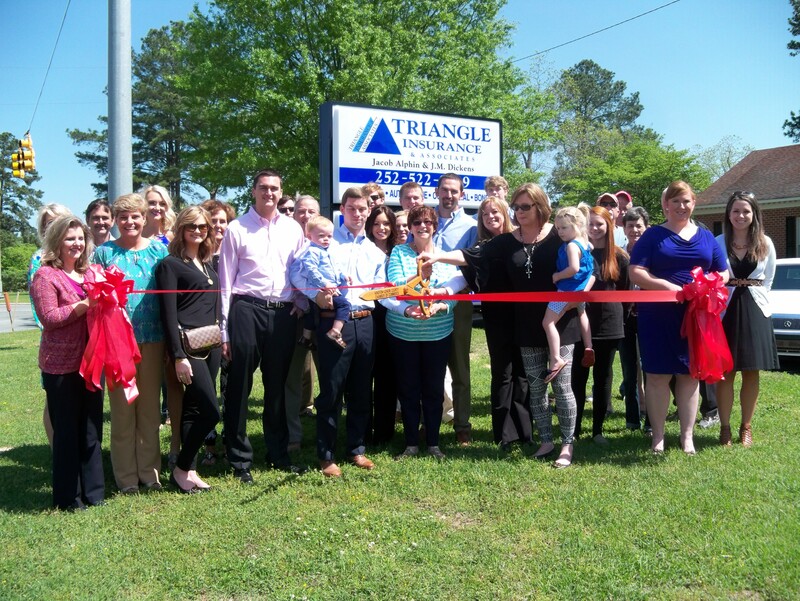 Triangle Insurance & Associates is a licensed independent insurance agency located at 1695 Hwy 258 N. in Kinston. Because they are an independent agency, they are able to access a wide range of insurance companies to better serve you. With access to all of these companies, they are able to let the insurance companies compete for your business, which means more discounts and lower premiums for you. At Triangle Insurance & Associates, they specialize in life, home, auto, farm, bonds, and commercial insurance. They put their customers first and are serious when it comes to protecting your family, friends, and community. Please call (252) 522-2239 and one of our friendly and knowledgeable staff members will assist you with your insurance needs. They are located at 1695 Hwy 258 N. in Kinston.